Needles and Hooks and Books, Oh My! : It's a new Month! 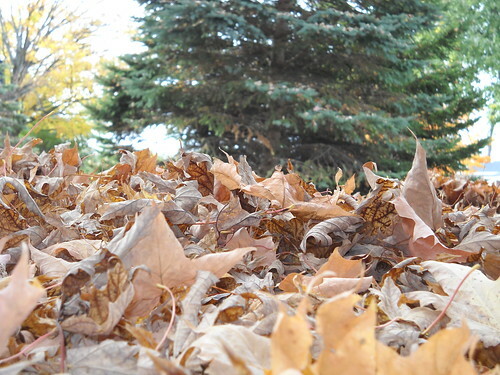 crunchy leaves!, a photo by mmwitch on Flickr. I enjoy the fall, but this year, I didn't enjoy it as much as I normally would've. Still, my sister and I got out and dressed in our scarves and hats and mitts and walked through town. I'm excited for the winter- more hats, mitts and scarves!